Inviting friends to a web application is a key factor to gain more users and traffic. 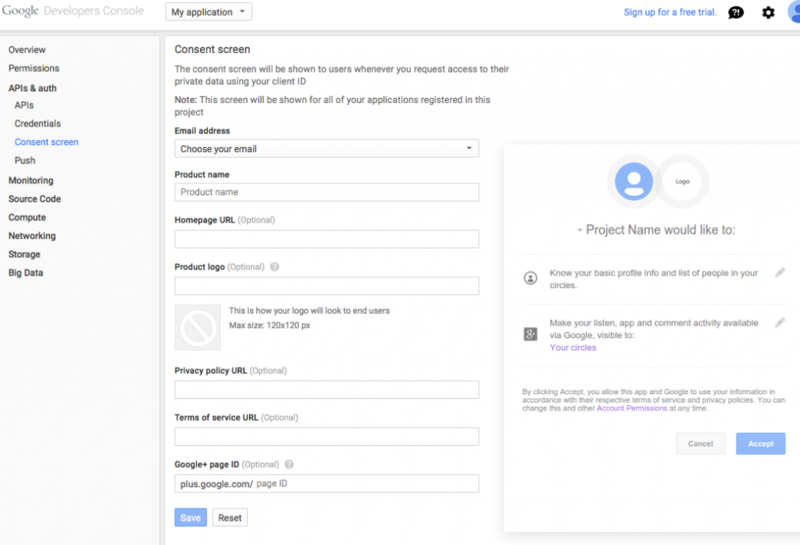 In this article we will try to give a practical, step by step web development example on how you can easily import google contacts to your web application, because even if google offers an api documentation, it’s always hard to find an example that is not out-dated, that fits in your app without having headaches and losing precious time. 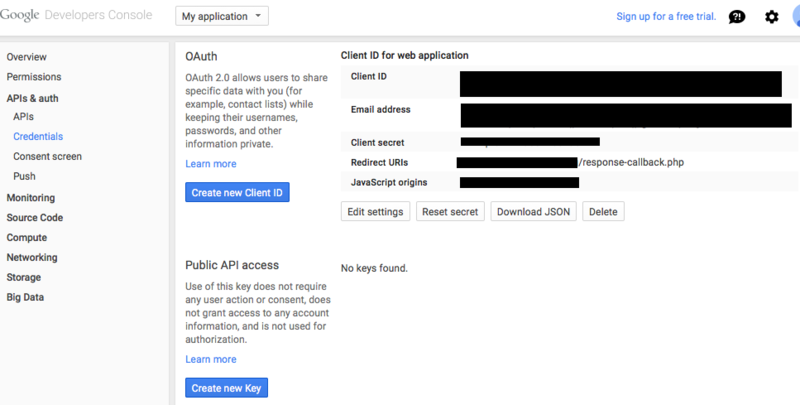 Create a Google application in Google Developers Console for obtaining your Client id and Client secret. Go to Google Google Developers Console and login with your google account. The url that you will enter on “Authorized redirect URIs” , will be the url that google will use to redirect with your response data. For example, after a user will accept giving credentials to your application, will be automatically redirected to http://www.example.com/response-callback.php . In this file you can read the google contacts. Use a real, online server to integrate this example. Localhost server will not work. download and include “Google APIs Client Library for PHP” in your php application. We will use a file name “response-callback.php” located in the root application, for the example bellow. //The URL to fetch. This can also be set when initializing a session with curl_init(). //TRUE to return the transfer as a string of the return value of curl_exec() instead of outputting it out directly. //The number of seconds to wait while trying to connect. //The contents of the "User-Agent: " header to be used in a HTTP request. //To follow any "Location: " header that the server sends as part of the HTTP header. //To automatically set the Referer: field in requests where it follows a Location: redirect. //The maximum number of seconds to allow cURL functions to execute. //To stop cURL from verifying the peer's certificate. Google documentation about retrieving a contact’s photo. To retrieve a contact’s photo, send an authorized GET request to the contact’s photo link URL. Considering that we already have the contact photo link in our $contacts array above, we just need to import the photo with a GET request using PHP. 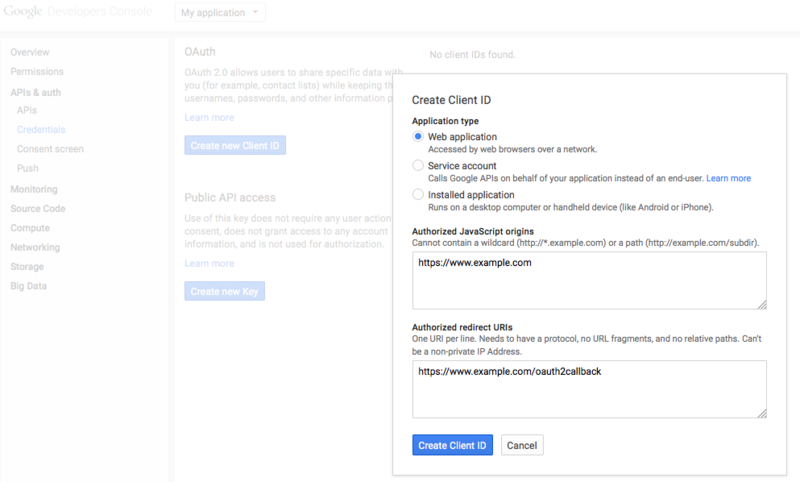 According to Google documentation about “OAuth 2.0 for Client-side Applications” , your application should always use HTTPS when using client side implementation. 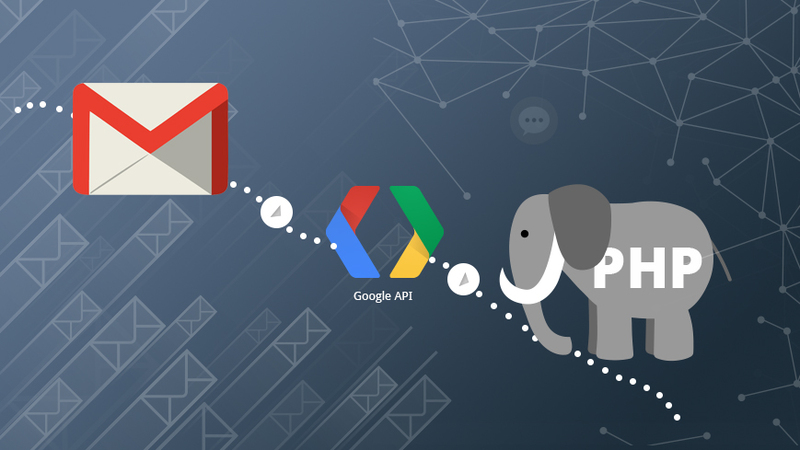 Still having problems importing your contacts using Google API? 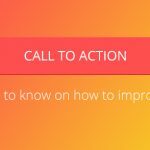 Don’t hesitate to post your question bellow, in the Comments section. How can i import image of users? That’s a good question. We posted an update to the article, so you can find now an example on how to import user photo. 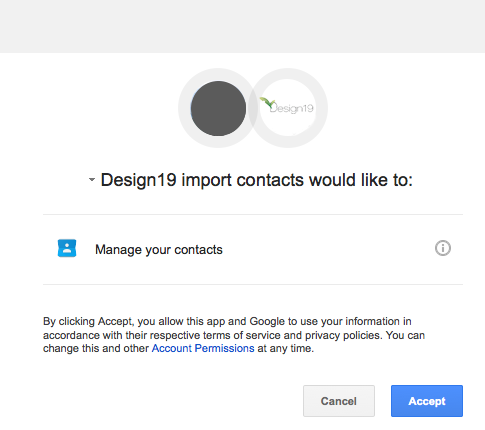 Please see “UPDATE: How to import contact photos using Google Contact API” section. I had went through your code and tried it. But got below error. can you please advise. The requested URL /Ã¢â‚¬Âhttps://accounts.google.com/o/oauth2/auth was not found on this server. Please be sure that you include all the steps into your code. 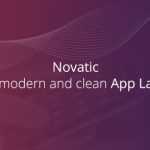 Did you include the “Google APIs Client Library for PHP” in your code ? Also your url seems to have weird characters, so be sure that you correctly paste the code into your php application. For over an hour I doubted myself but i found the bug. The quotation mark in in the middle cames from copy&paste and is not the correct html one. Replacing all double quotes with the correct one and the 404 Error is away. But i have another error, i get now contacts from google. After allowing the app, i got the same view just with the link. Sorry again. Now it works. Hello, please look into your console ( chrome or firefox) so you can see the results. after authorization, chrome/firefos console is empty, sorry. Is Curl method still ok with google api 3? Hello, thanks for your reply. Indeed, was a problem with the quotes in the a tag. Seems that the editor was bad formatted the quotes. Done! Modify the code to see the contact list :D! HI, I everything is working fine except fetching contact’s photo. It is returning 401 error. Please look in your browser console. You can manipulate the data as you want after that. 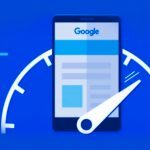 no redirection to URL with a code token parameter from google. I’m trying to understand what the point of “[feed][entry]” is? Also how can I add different parameters such as phone number etc.? Thanks for this tutorial, it helped me very much. But I have two problems with you code. First, is it seperated into more than one file? Currently my redirekt URL is the same as the requesting URL. And the problem is, that after the Session Cookie is set in the if scope with isset($_GET[‘code’]) it is deleted again and after the redirecting the session is gone and no contacts are shown. Secondly, I have synchronised my Android Phone with my Google Contacts. All Contacts are shown in https://contacts.google.com/ with the correct image. But when I use this script only 140 of ~200 are found and only 10 have an image. But most of them have an image when I take a look on them on my mobile phone and in the desktop app. Maybe you know what the problem could be. Great man!!! That helps a lot.. Thank you very much….. The same: no contacts are displayed. this $_GET[‘code’]) is not working. Can you upload a zip file to download your tutorial? Hello Bogdan, i have created the keys on Google API but i have a problem on Step 2. Where do i put the code you posted? I have created a file (invite.php) and put there all the code on STEP 2. I have uploaded it to my server but i get nothing. Locally (wampserver) i get 3 errors. Please try to include “Google APIs Client Library for PHP” with relative path, not with absolute path. Contact details are visible when I look using console in firefox, but how can I separate these and echo them with php? Hello, you can use an ajax request to pass all the data to php. Thanks for your tutorial. I have a problem with implementing it. Can you please guide me with this? Your code worked well for me. 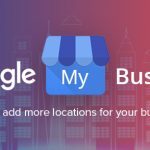 I want your code support to add a contact in google contacts which I will be using for my website. I have used java-script code to fetch contacts but it’s showing only limited number(25) of contacts not all Google contacts. Cleaned this code of the article a bit and abstracted configuration away from the logic (as per the guidelines of 12 factor application). I think this much easier to read and follow, YMMV. Is there also a way to do the opposite: import contacts from a database into the Gmail contacts? I am making demo in local so what to enter in application url? thax man!!! That helps a lot.. Thank you very much…..
can show you how to add new contact using js? I used JS code for retrieving contacts. Why it not return the all contacts of the users. I have done as per the given article but i am not getting phone numbers in jason response. I am getting only email ids and not all but some. And another thing is that why i am getting the window of allowing to import contacts only once. Hi Bogdan, amazing code! Thank you!!! I have one problem, I’m only getting 27 contacts, I tried several google accounts and the same happens. Please help! Hi Bogdan. Thank you for this great tutorial: following your instruction I setup everything and it works like a charm! But this gives as result a Bar request response and Cross origin request blocked message in the console. Any idea? good,, that’s great work . Is it possible to receive phone number from contacts? I solved (I didn’t see nothing after google account authorization). Then, all works very fine. Bogdan, thank you so much for your great great work. Hi. Thanks for this work. Only thing is I a crazy number of contacts returned. I only have 5 contacts and it is returning over 700. They are all addresses I have sent email to or received email from, but not actual contacts. Is this normal behavior?